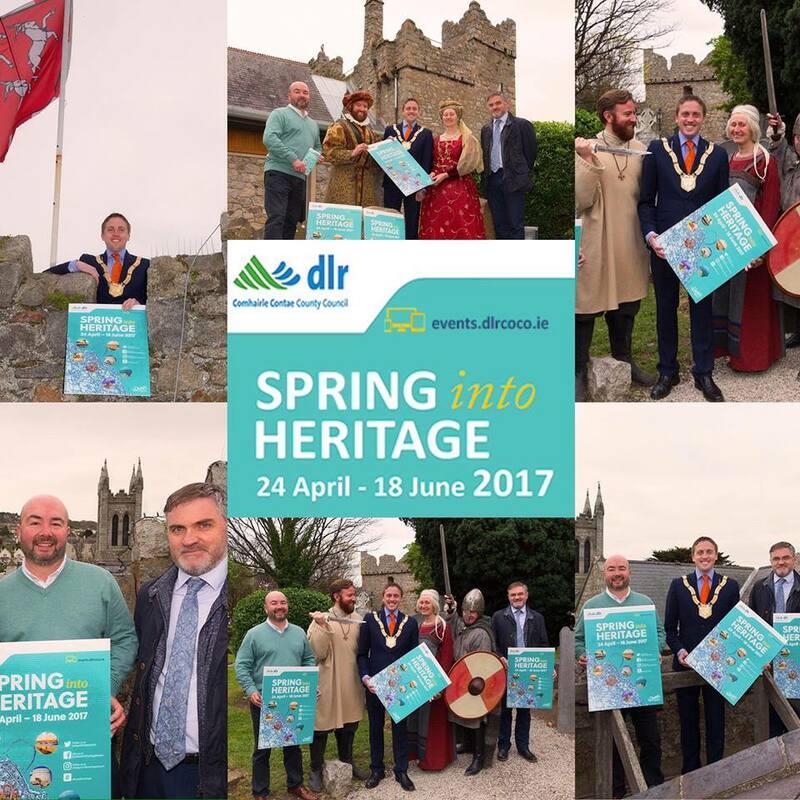 The DLR Spring into Heritage 2017 programme was launched today by An Cathaoirleach Cllr Cormac Devlin at Dalkey Castle & Heritage Centre. Spring into Heritage features a number of free cultural and heritage talks and tours around some of Dun Laoghaire Rathdown greatest attractions. There’s plenty to choose from and lots of great ideas for maritime enthusiasts with tours of the fantastic National Maritime Museum, guided walks along Dun Laoghaire’s historic harbour and tours of the Seapoint Martello tower. There’s also tours of Cabinteely and Marley House, the fantastic Dalkey Castle and much much more. The programme begins on the 24th of April and will run until the 18th June so don’t miss out on this great opportunity! Visit their website for more information and how to book or pick up one of the leaflets around Dun Laoghaire.